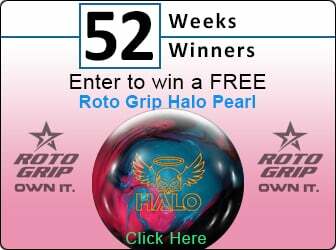 Are you new to bowling or just looking to improve your game? Well inevitably you've either seen while bowling, or seen a PBA telecast, where someone throws their ball and it takes a left turn on the backend. You take your ball and try your best to make it do the same thing, but to no avail. The guy you saw do it made it look so easy, but it seems like trying to solve the case of the Zodiac killer to you. Well, I'm gonna try to help you solve the riddle! If you've been trying to throw a hook with a house ball or your grandmothers' Ebonite Galaxie from 1968; there is your first problem. If you want to get on the fast track to throwing a hook, you're going to need a reactive resin ball. Reactive balls have a porous surface that is meant to grip the lane and provide the traction through the lane oil that you need for your ball to hook. Plastic balls are much harder and smoother than reactive balls so they won't be able to get the same traction (That's not to say plastic doesn't have its place. Something like a Ice Storm Blue/White or Path Black/Silver would be great for spares!). For example, something like the Tropical Breeze Pearl Carbon/Chrome or Path Rising Purple/Steel Blue Pearl would be a great place to start! In the next part of this article I will tell the next step in getting the HOOK you're looking for!